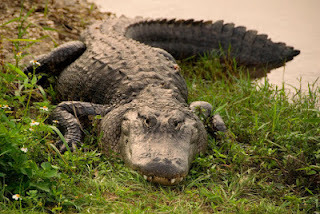 Christine's Joie de Vivre: Alligators, Crocodiles and Pythons Oh My! Alligators, Crocodiles and Pythons Oh My! I love my home state of Florida for many reasons--the weather (yes I can take humidity over freezing cold any day), the beaches, the variety of cultural activities and the scenery EXCEPT for unwanted alligators, crocodiles, and pythons. We see them more and more in front lawns, backyards and swimming pools. Growing up in Titusville, FL (across the river from Kennedy Space Center) , we had a house with plenty of trees, bushes and flower gardens which my mother tended to regularly. Often she would spend an entire day on all fours, with hoe, shovel, bags of soil, toiling away--weeding, digging, planting and repeat. But once she thought she grabbed the green water hose. As it turns out it was a garden snake that slithered right out of her hands. She shrugged it off. On another occasion my sister, father and I were indoors and heard my mother screaming, shrieking! Was she being attacked? YES! A cockroach had flown down her shirt while she was gardening. I ALMOST PASSED out at the thought of it. I always say, old age won't kill me-- but arachnophobia, cockroach phobia, reptile phobia, will certainly be the cause of my heart attack. (My mother didn't faint, she's stronger than me). This is why I live in a highrise condo, closer to the clouds than the ground, on the 40th floor. How high do cockroaches fly? Wait! Don't tell me. Let me continue to believe they hover around floors 1-5. 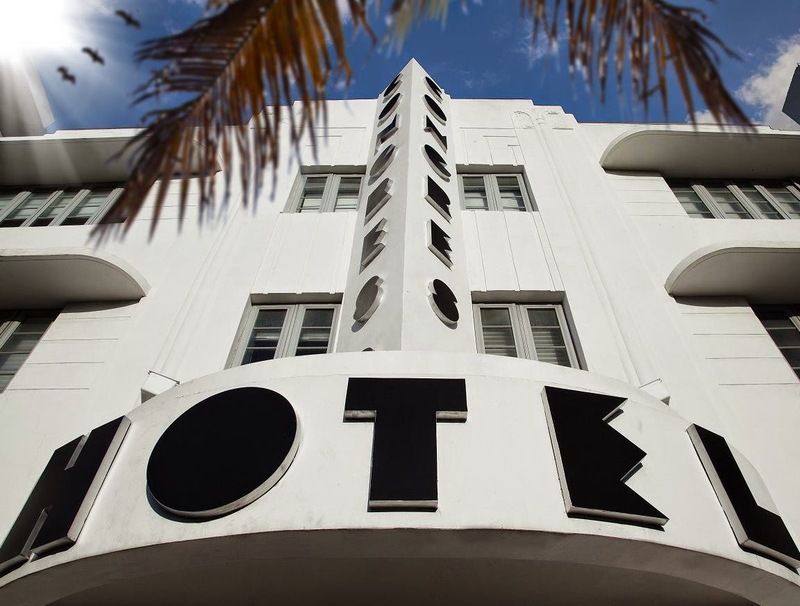 In my research as part of the storytelling of the Florida landscape for my popular Art Deco/South Beach tours, I share the fact that Miami Beach was originally inhabited by rats and crocodiles. That's correct. CROCODILES, not alligators. Over the years they have almost become extinct and were listed as endangered and it was forbidden to trap or kill them. Sure enough with time, the American Crocodile has made a comeback. An ecosystem restoration project flourished and crocodiles now total around 1,500 in the state. It's cousin, the alligator still dominate at 1 million. Alligators are native to only the US and China (where there few left). Crocs are more prevelant throughout the world especially Africa, Asia and Australia. Crocodiles have pointed, snaggle-toothed, V-shaped snouts, while Alligators have U-shaped mouths. Alligators generally grow to 6 feet in length. Crocs up to 23ft. WOW. Alligators are only found in fresh water but also brackish. Crocs can stand brackish and sometimes salt water. Crocodile gets their name from the Greek meaning “worm of the stones”. Alligator comes from the Spanish “Lagarto” for lizard. (Identified by Spanish Explorers in the New World). Crocodiles tend to be the ones made into handbags, belts and boots. Last summer I saw on late night TV news a seven- foot alligator that had pummeled through a screen door and lay on the kitchen floor of an elderly woman's home. Maybe he was looking for a cool spot? Fortunately the unwelcome visitor didn't attack the woman as she almost stepped on him. 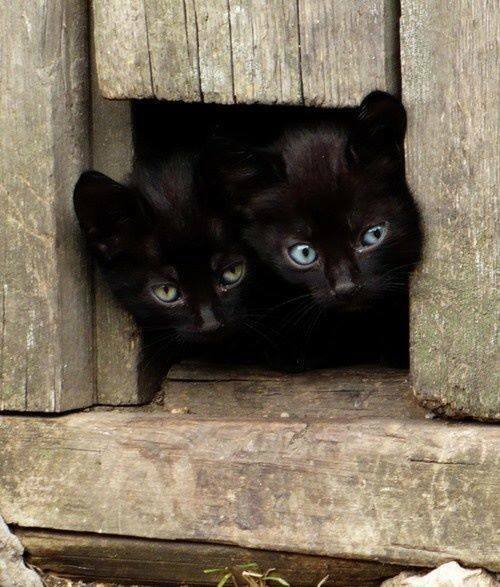 She did live near a canal where they often live and lurk. 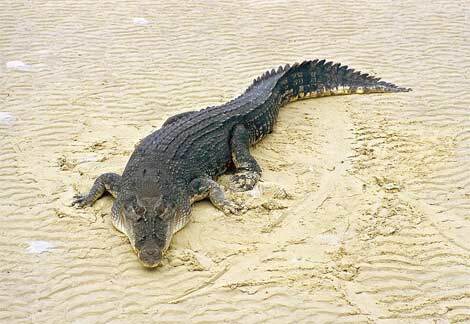 But apparently, the American crocodile and alligator generally stay away from humans. There has never been a reported incident of a crocodile attacking a human in the Florida wild. An increase in crocodile population means that "croc encounters" are on the rise as well. 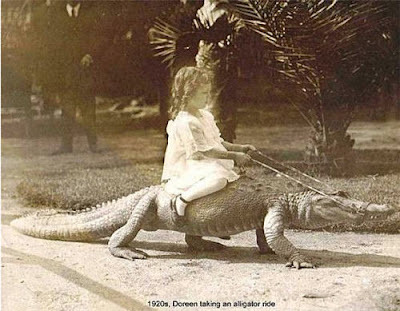 Last summer, crocs cruised into the canals of upscale Gables by the Sea along Biscayne Bay. 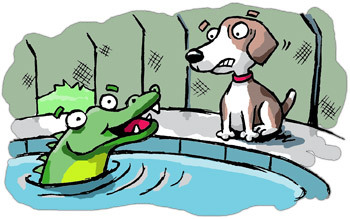 Then a five- foot crocodile was found in the swimming pool of a homeowner. But when state trappers came to pull the crocodile, they dumped it back into the canal, weeks after a dead dog was found floating in the bay with bite marks. While crocodiles were removed from the "ENDANGERED" list they are still "PROTECTED" federally and can not be trapped or killed. This prompted the community association to add "crocodile watch" to the Crime Watch and Traffic Watch duties. Even more alarming is that crocodiles and alligators eat small prey, including pet dogs. Just last month in Key Largo, a 10-footer in a canal killed a 65 pound dog named Roxie. More crocodiles are pulled from swimming pools, plucked from ocean waves in Cocoa Beach, and spotted sunbathing in a homeowner's yard in Tampa. So are alligators and crocodiles invading suburbia or is man invading their natural habitat by building homes and communities on the border of the Everglades? This is why I happily live on the east side, far from the Everglades in a highrise. But this story takes another wildlife turn. PYTHONS! Homeowners in west Miami are now placing "nuisance calls" not just for alligators and crocodile sightings but pythons as well! Burmese pythons, native to Southeast Asia were smuggled into the U.S. as pets. But over time, people dumped these pets into the Everglades. It sounded like a joke when the news first hit in 2000: Giant Burmese phythons were invading the Everglades. Now scientists have measured the impact of this voracious species and the news is troubling. Experts say these pythons have almost obliterated marsh rabbits, foxes, raccoons, opossums, and white-tailed deer. It's possible that the decline in bobcats, coyotes and panthers is linked to the disappearance of the smaller prey. Pythons are also eating lots of birds. More than 25% of pythons found in the Everglades contain bird remains, according to the Miami Herald, January 31, 2012. "They also happily eat pets including cats, dogs and some farm animals. Roosters and geese have been found in their stomachs". The Everglades National Park personnel have captured or killed 1,825 since 2000. In watching Animal Planet's The Swamp Wars, I soon recognized the aerial view and terrain from the opening credits--South Florida. In this video, a woman catches a glimpse of a snake in her backyard and calls 911. Miami Dade Fire Rescue comes out and turns out it's a very large Burmese Python. Watch as this female firefighter tries to grab the snake! In this clip below a female firefighter tries to capture an adult Burmese Python, which in turn tries to bite her and wraps around her leg! Tune into Animal Planet to watch the full stories. In wrapping this up, I just realized my condo is along the Miami River. Do they live there as well? I've seen many manatees. While I'm feeding the neghborhood cats, near bushes, there could be snakes and alligators lurking nearby! Oh no! Dialing National Wildlife folks now.